Rock 'n' Roll Truth: Sights and Sounds: R.E.M., Florence + the Machine, Gary Clark Jr.
Sights and Sounds: R.E.M., Florence + the Machine, Gary Clark Jr.
A quarter of a century after Out Of Time helped break alternative music into the American mainstream and turned R.E.M. into a worldwide phenomenon, the band have announced a special 25th Anniversary Edition, out November 18, 2016 via Concord Bicycle. Out Of Time will be released in three different formats. The 2 CD Set will include a remastered version of the original album alongside demo versions of every album track, as well as demos for two non-album b-sides and a previously unreleased song. The 3 LP Set will include remastered vinyl versions of the original album and the demos. The 25th Anniversary Deluxe Edition of Out Of Time will include 4 discs, featuring the remastered album, demos, recordings from the band's performance at Mountain Stage in 1991 (a rarity for the time, as the band did not tour to promote 'Out Of Time'), and a Blu-Ray disc with hi-resolution audio and 5.1 Surround Sound versions of 'Out Of Time,' all of the music videos from the album, and the 1991 electronic press kit 'Time Piece,' featuring in-studio footage, exclusive performances and more. All versions will feature extensive liner notes by Annie Zaleski featuring interviews from all four band members and producers Scott Litt and John Keane. Full details below. The demos, recorded at John Keane Studio in early 1990 and featured on all versions of the Out Of Time reissue, provide key insight into the band's creative process: from early instrumental passes to versions of "Losing My Religion" and "Texarkana" with different lyrics, and even a version of "Radio Song" that features a rare moment with drummer Bill Berry on lead vocals for a verse. While recording them, it was clear to Keane that R.E.M. were "at their peak in terms of creativity." 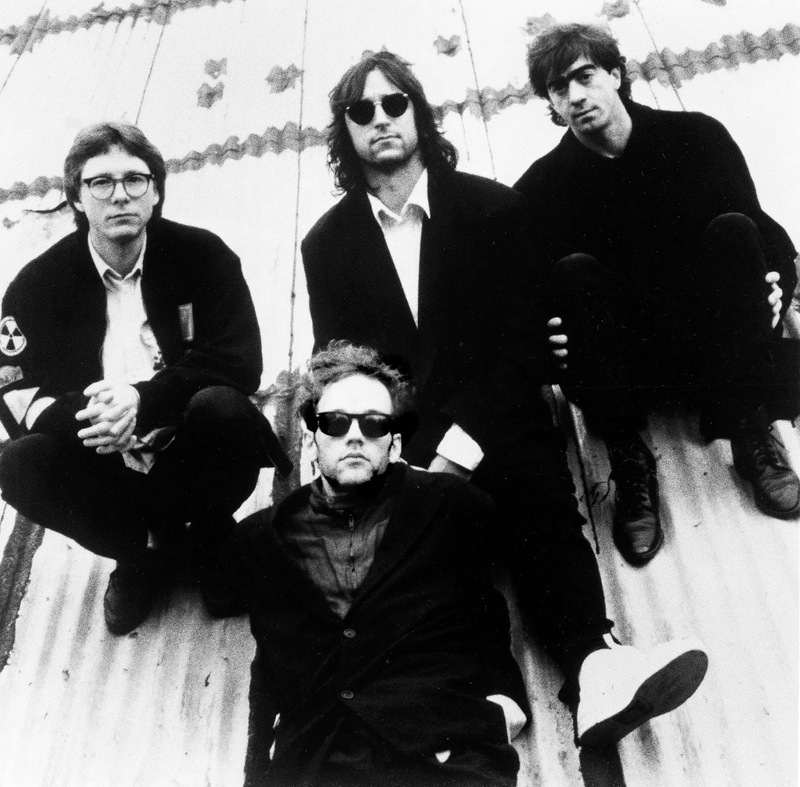 By 1991, R.E.M. (Bill Berry, Peter Buck, Mike Mills and Michael Stipe) had amassed a sizable following in the United States, but 'Out Of Time' brought the Athens, GA band unprecedented global recognition. It was the group's first album to top both US and UK charts, selling 12 million copies worldwide, and garnered 7 Grammy nominations, including wins for Best Alternative Music Album, Best Short Form Music Video ("Losing My Religion"), and Best Pop Performance by a Duo or Group with Vocal ("Losing My Religion"). Instant classic songs like "Losing My Religion," "Shiny Happy People," "Near Wild Heaven," and "Radio Song" broke new ground, artistically and commercially. Reviewing 'Out Of Time,' Rolling Stone simply said, "This may well be America's best rock & roll band." Earlier this year, Pitchfork called the album "arguably their most important record," while Time Magazine named 'Out Of Time' one of it's All-Time 100 Albums, saying it contains "ethereal beauty rarely heard on a rock record." 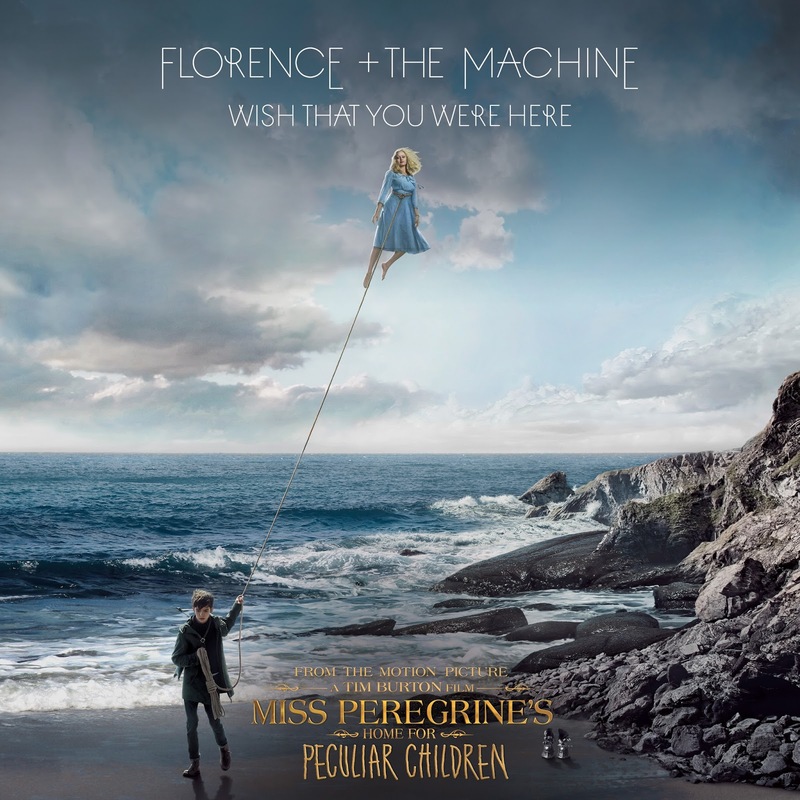 GRAMMY® Award-nominated, multiplatinum artist Florence + the Machine contributes a new track entitled “Wish That You Were Here” to Tim Burton’s Miss Peregrine’s Home for Peculiar Children. The film opens in theaters everywhere on September 30, while the song hits digital retailers August 26 via Republic Records. “Wish That You Were Here” stands out as a gorgeously hypnotic and bracing original composition from Florence + The Machine. With its cinematic overtones and expansive power, the track figures prominently serving as the end-title track for the film. 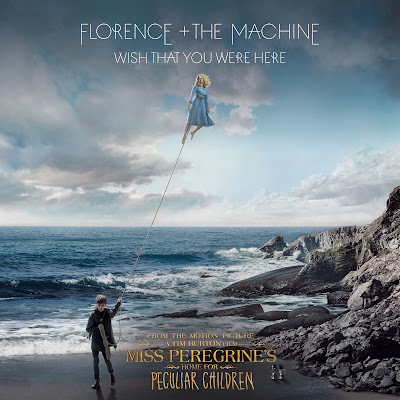 Academy® Award-nominated and Golden Globe® Award-winning filmmaker Tim Burton personally collaborated with Florence on “Wish That You Were Here” for the film, which is based on the best-selling 2011 novel of the same name by Ransom Riggs. A massive fan of the book series and a longtime admirer of Burton’s work, Florence worked closely with the director in a collaborative effort to record the song in a way that truly evoked the film’s ideal. “I've always been a huge fan of Tim Burton’s. We have a very similar sensibility. It’s the kind of dark, dark romance of his work — so beautiful and whimsical, but with an element of darkness to it. That’s something that I always try and achieve in my work, too. I knew we would get along really well working together and we did. I feel like we’re coming from a similar place of quite frantic imaginations trying to get the words out before the pictures in our heads disappear. He feels like a kindred spirit,” says Welch. From visionary director Tim Burton, and based upon the best-selling novel, comes an unforgettable motion picture experience. When Jake discovers clues to a mystery that spans alternate realities and times, he uncovers a secret refuge known as Miss Peregrine’s Home for Peculiar Children. As Jake learns about the residents and their unusual abilities, he realizes that safety is an illusion, and danger lurks in the form of powerful, hidden enemies. Jake must figure out what is real, who can be trusted, and who he really is. MISS PEREGRINE’S HOME FOR PECULIAR CHILDREN is rich with fantastical and immersive imagery, memorable characters, epic battles, and unique time travel manipulations—all brought to life by Tim Burton, in the grand style of his films Edward Scissorhands, Alice in Wonderland, The Nightmare Before Christmas, and Charlie and the Chocolate Factory. Most significantly, it is about embracing the original and peculiar in us all. 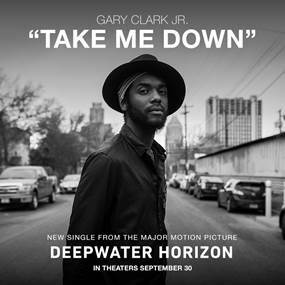 Gary Clark Jr. has written an original new song, “Take Me Down,” which will be featured in the upcoming and highly anticipated film Deepwater Horizon from Lionsgate’s Summit Entertainment label, as well as on the movie’s original soundtrack. Deepwater Horizon Original Motion Picture Soundtrack – Music by Steve Jablonsky Featuring an Original Song by Gary Clark Jr., also features an original stirring score by Steve Jablonsky (The Transformers franchise, Lone Survivor) and will be released by Warner Bros. Records on September 23rd. Steve Jablonsky has composed the music for many of Hollywood’s most successful films including Transformers, Transformers: Revenge of the Fallen, Transformers: Dark of the Moon and Transformers: Age of Extinction. He has worked on multiple projects with director Peter Berg including Lone Survivor and Battleship. Jablonsky’s other film credits include Pain & Gain, The Island, A Nightmare on Elm Street, The Last Witch Hunter, Ender’s Game,Gangster Squad, and most recently Keanu and Teenage Mutant Ninja Turtles: Out of the Shadows. 14. Take Me Down - Gary Clark, Jr.